Pointe Santo B25: Stunning Gulf Views in this Tropical Paradise on the Beach! For all other arrival and departure days, or for reservations less than 7 days, please call our reservation specialist at (239) 579-0348 or submit your inquiry below the calendar. 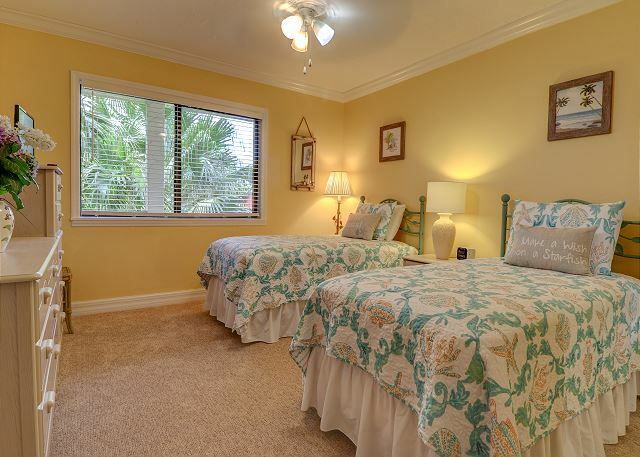 Pointe Santo B25 also known as "Coastal Dream" is your perfect place to be on Sanibel Island. 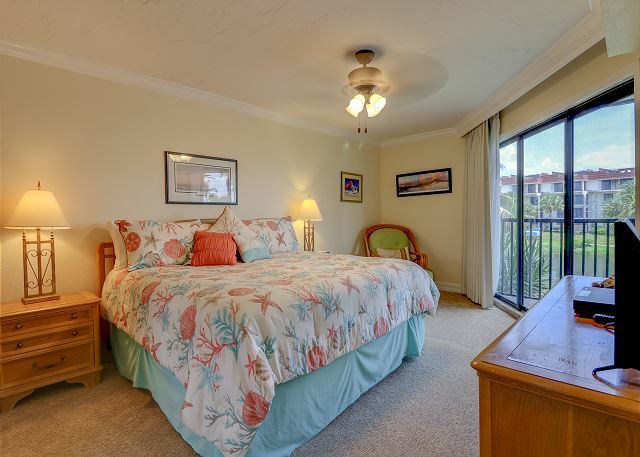 Imagine waking up every morning in the master bedroom with gorgeous views of the Gulf of Mexico! The views from the lanai are even better! 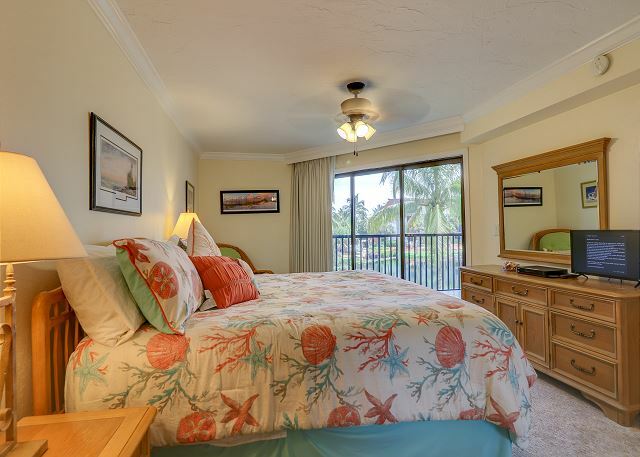 You can access the lanai from both the bedroom and living room. 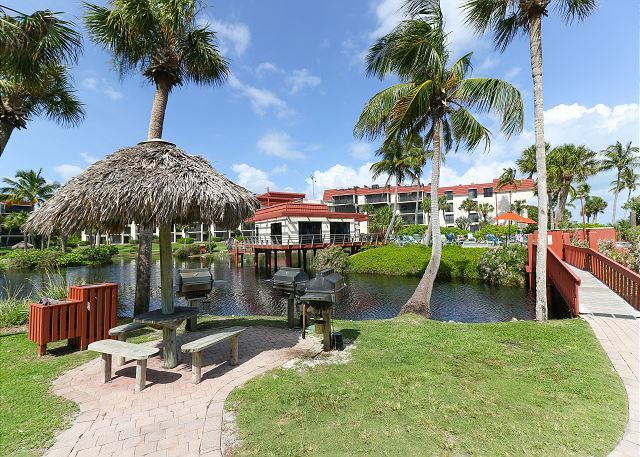 The condo features an open concept layout and an immaculate, updated kitchen with stainless steel appliances and island counter seating with 2 barstools. 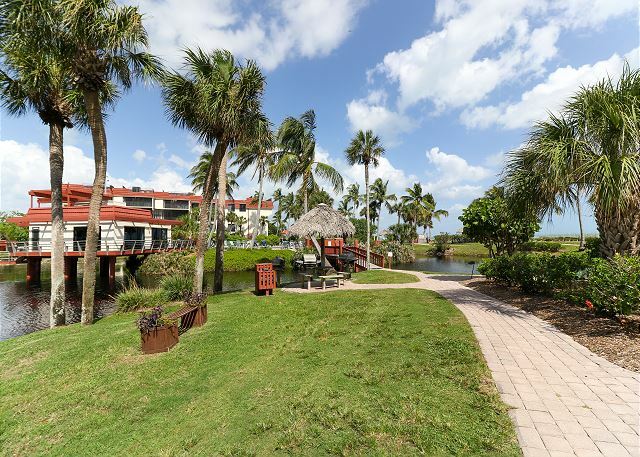 This 2 bedroom, 2 bath gulf-side oasis boasts 1245 square feet with plenty of room for you and your family and/or guests. The unit itself is conveniently located close to the elevator and only steps away from the pool and the sandy shell strewn beach. No long board walks to get to the beach! 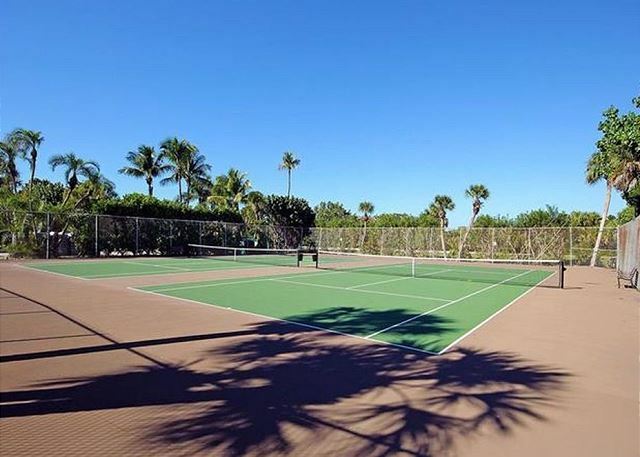 Pointe Santo also offers several lounge chairs, kids activities, and volleyball on-site and is located mid-island very close to shopping, grocery, & restaurants and easily accessible by bicycle! Come and enjoy all the beauty and convenience Pointe Santo B25 has to offer!! Condo/Resort amenities include: 2 bedrooms/2 bathrooms -- 1 King bed, 2 twin beds & a pull-out sleeper sofa (sleeps 6), 3 flat screen TVs & DVD player, free cable & WIFI, heated pool & hot tub, in-suite washer & dryer, public BBQ grills, shell cleaning station, tennis courts, elevators, kid's activity programs. No Pets allowed. Bed linens and Bath towels included. This unit has 6 beach chairs, 6 beach towels, several boogie boards, and sand toys. All stored in storage closet right outside the door and adjacent to the elevator for easy access. 7 night minimum rental period is required. This unit is non-smoking with a maximum occupancy of 6 people. 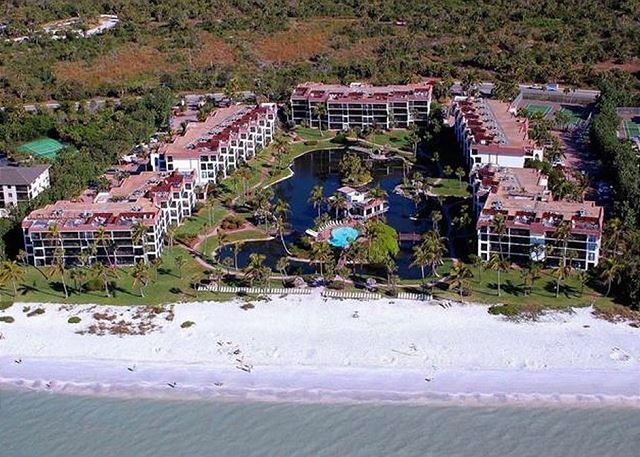 Guest Reviews of pointe santo b25: stunning gulf views in this tropical paradise on the beach! The condo really lacked in supplies in the kitchen, but the kitchen was updated with counters and sink. The living room furniture and patio furniture were not the most comfortable. The patio had three different kinds of chairs. The master bed had big indentations in it from I assume heavy people sleeping on. We are so sorry about this. If you stay with us in the future, we encourage all of our guests to contact us with things like not having the proper kitchen supplies. The mattress is less than one year old, so we will look into this. The lanai furniture will also be replaced soon. 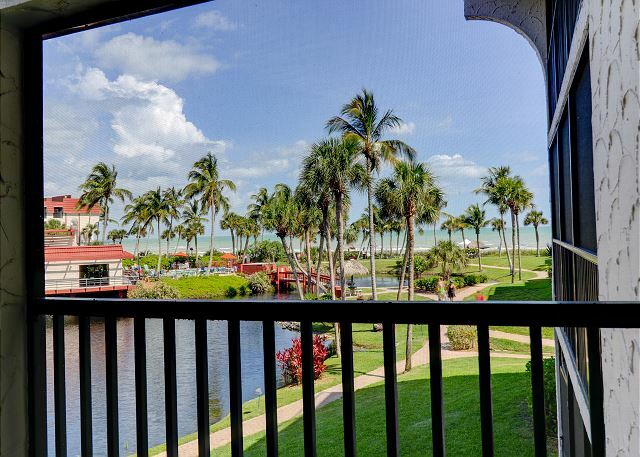 We hope that we can help you plan another trip to Sanibel in the future! We had a great experience at our rental. The place was clean and updated and we had such a nice time. Great view of the ocean and a quick walk to get down to the beach. We really enjoyed the place and our stay. Thank you so much for your review of Pointe Santo B25! We are so glad you enjoyed your stay! 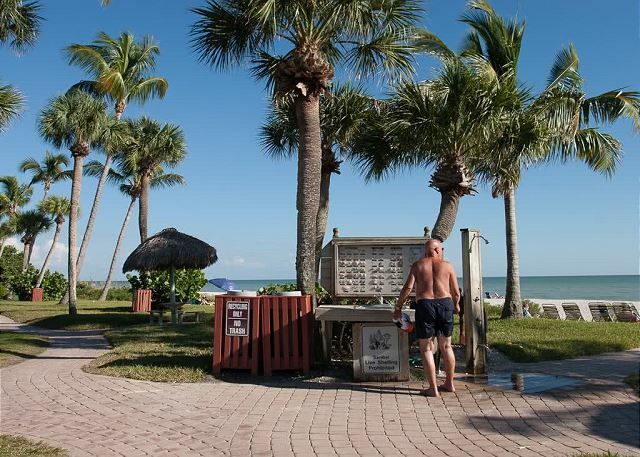 We hope we can help you plan another trip to Sanibel in the future! Thank you so much for your review! We are so glad you enjoyed your stay with us! 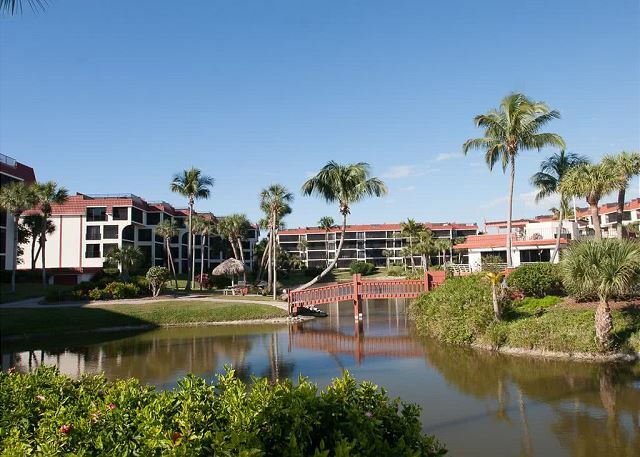 We hope you will stay with us in the future when visiting Sanibel! A beautiful vacation! The complex is in a great location, priced right and is family friendly! Suggestions for property improvement- new outdoor carpeting in the halls and fresh coat of paint. Suggestions for the unit- More kitchen items. I t would have been nice to have a variety of local pamphlets in the home upon arrival. The flowers and the organic soap were a nice touch! Thank you so much for your review! We are so glad you enjoyed your stay! We will definitely pass these suggestions along to the owner. We hope you will stay with us again in the future! Thank you so much for your review! It was a pleasure to meet you and we are so glad you enjoyed your stay! 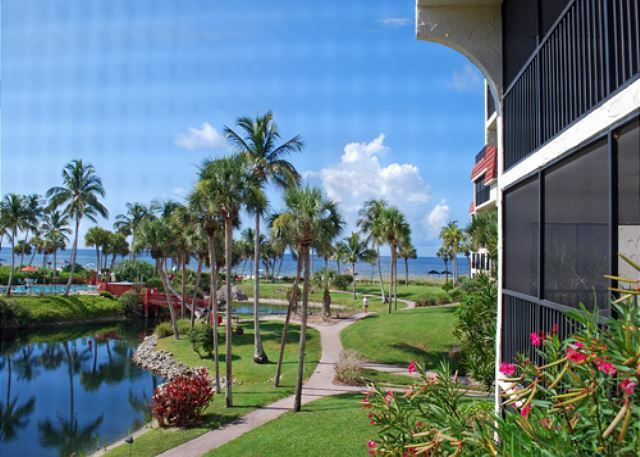 We hope you will stay with us again on your next trip to Sanibel. Very relaxing week! We were able to enjoy the spectacular view from the porch. The vase with the flowers was a beautiful welcoming touch. Thank you so much for the extra parking permits. I would only request having more trash bags and some type of plastic bowls for children. We would love to come back next summer!! Thank you so much for your review! We are so glad you enjoyed your stay at Pointe Santo B25! It was a pleasure having you! Please contact us next time you are planning your vacation to Sanibel! We have been vacationing on Sanibel since 2011. 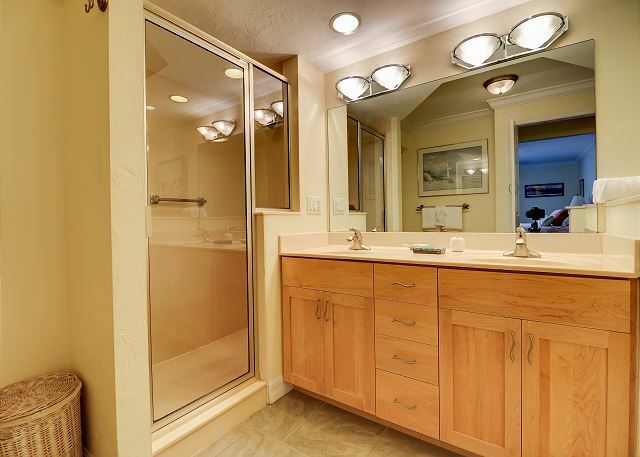 This was the first property we rented from Sanibel Vacations. The staff was very helpful & The condo provided quick responses to our questions. 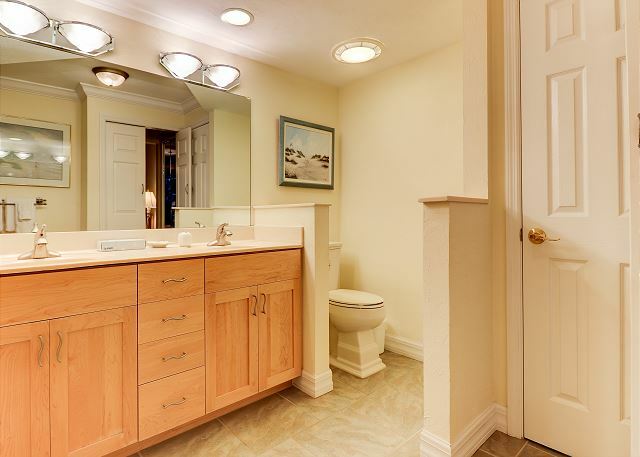 The condo was clean and exactly as represented in the pictures. 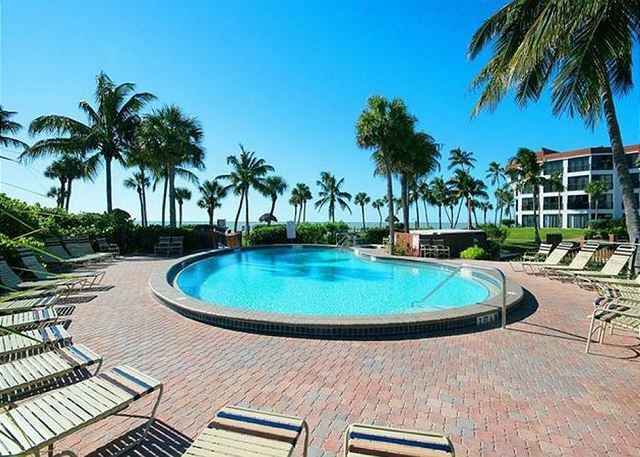 We would definitely rent from Sanibel Vacations again! Thank you so much for your review! We truly appreciate you taking the time to leave us feedback! We hope to see you again in the future! It was a pleasure having you! Nice location, but the beach loungers, condo furnishings and kitchen cabinets are worn and tired. Carpet was very dirty too. Expected more for the money. We are so sorry you experienced these issues during your stay. We can definitely pass this along to our housekeeping and owners. Had we known of your issues during your stay, we would have been more than happy to come in and resolve any problems while you are here! Also, after speaking with the owner, he has made the choice to replace the carpets to keep things new and updated! We had a great week at Pointe Santo. The weather and condo were perfect! Thank you so much for your feedback! We are so glad you enjoyed your time here! We hope to have you back again in the future! We had a fantastic stay at Pointe Santo! Our condo delivered what it promised. It was upgraded, comfortable, and well stocked with beach towels and toys. We loved the beach locale and enjoyed spending time at the beach and pool daily. The kids enjoyed the clubhouse, shuffle board and tennis courts. We hope to come back!!! Thank you so much for your feedback! It was a pleasure to have you stay with us! Please let us know if we can help you plan your next vacation!